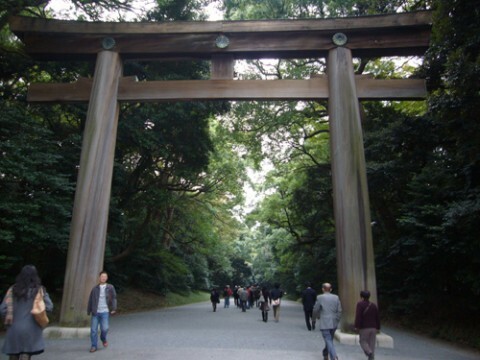 Tokyo’s premier Shinto shrine was built in 1920 in remembrance of the emperor Meiji and his wife. In contrast to the hustle and bustle of Asakusa’s Sensoji Temple, Meiji Shrine is an oasis of calm in the center of the capital. The shrine’s expansive wooded grounds are, astoundingly, not a natural forest, but the result of extensive planting of trees donated during its construction.